The company SK-Patent maintains, respectively has access to, conference rooms at the places Munich (DE) and Passau (DE). 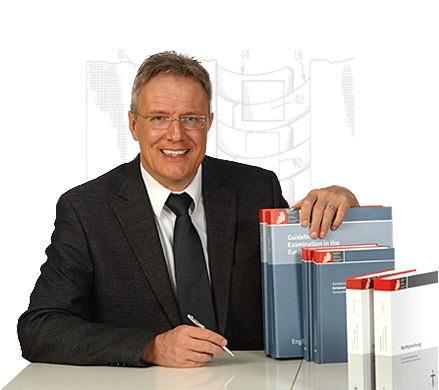 The company founder (Dr. Stephan Klauer) is himself European Patent Attorney and as such admitted for representation before the European Patent Office Munich (DE), The Hague (NL), Berlin (DE) and the international bureau of the World Intellectual Property Organization (WIPO) in Geneva (CH). Via selected cooperation partners, representation is also enabled before the German Patent and Trademark Office (Munich, Jena, DE), the Austrian Patent Office (Vienna, AT), and the Swiss Federal Office for Intellectual Property (Berne, CH) as well as the Office for Harmonization of the Internal Market (OHIM) for registering community trademarks and designs (Alicante, ES). If required, foreign agents are engaged to represent clients before the central national industrial property offices in almost all countries in the world. The collaborator/s of the firm have an excellent command of English, so that a smooth exchange of information and correspondence on the international level is guaranteed. Further communication languages are German, French and Dutch. The spectrum of clients served by SK-Patent ranges from individual inventors via small and medium-sized companies to international firms.